Last year, an Irish farmer purchased a white Charolais breeding bull and set it loose amongst his cows. When it became clear that the bull showed more interest in other bulls than heifers, he was all set to go to the slaughterhouse. But thanks to animal rights activists and The Simpsons cocreator Sam Simon, Benjy the gay bull was saved in the cutest gay animal rights story you've ever heard. After Benjy had spent some time around the herd, the farmer found that none of them were carrying calves. 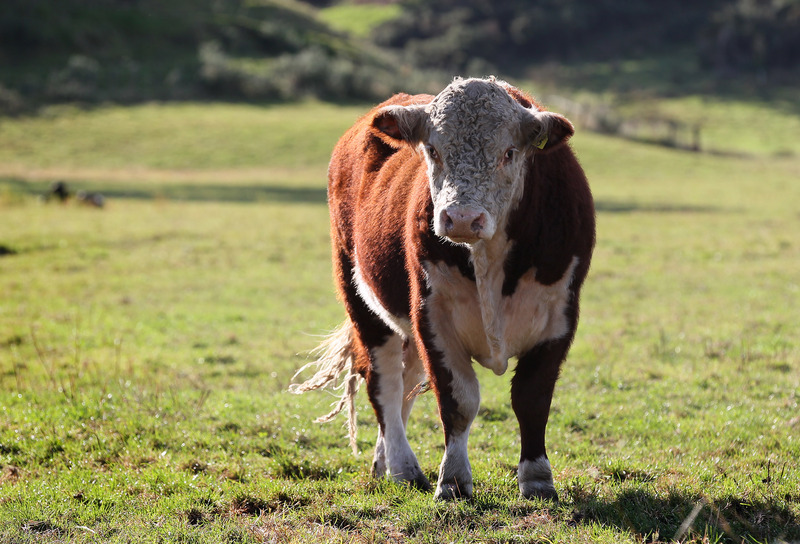 A veterinarian who had checked the bull found nothing wrong with his ability to reproduce, and after observing Benjy, the farmer noticed that the problem lay in the bull's sexual preferences. "At first I didn’t take seriously that the bull could be gay, but after seeking advice I know this can happen," he told Irish Daily Mail. The farmer, who has not been identified by name in the press, told Irish Daily Mail last week that because Benjy was "too old to castrate" and raise for consumption, he would go to the factory. Benjy's imminent death caused an international stir: Online magazine TheGayUK teamed up with Ireland's Animal Rights Action Network to raise enough funs to transport Benjy and safely house him at an animal sanctuary. Although 300 contributors were able to raise $6,200 in the fund-raiser, they were still short of their goal when Simon stepped in and donated the rest of the money to safely house Benjy at the Hillside Animal Sanctuary in Norfolk, England. Simon, who is battling colon cancer, has contributed much of his wealth to working with animal rights groups. For him, Benjy's cause went beyond the normal horror of the slaughterhouse. All animals have a dire destiny in the meat trade, but to kill this bull because he's gay would've been a double tragedy. It thrills me to help PETA and ARAN make Benjy's fate a sanctuary rather than a sandwich. Yay, Benjy! Yay for combining animal and gay rights into one cause! I hope Benjy can settle down with a nice bull over at Hillside and live out the rest of his life in bliss, free to roam around the property and not be disparaged because he isn't a sperm-pumping machine. I can't wait for the day when a gay bull isn't news, but until then, congratulations to Benjy. You live your life, babe.